This DIY is a precursor to next week's tutorial, both of which come to you courtesy of Mr. Bromeliad. It takes some fooling around with jewelry making before you start to learn the names of things. 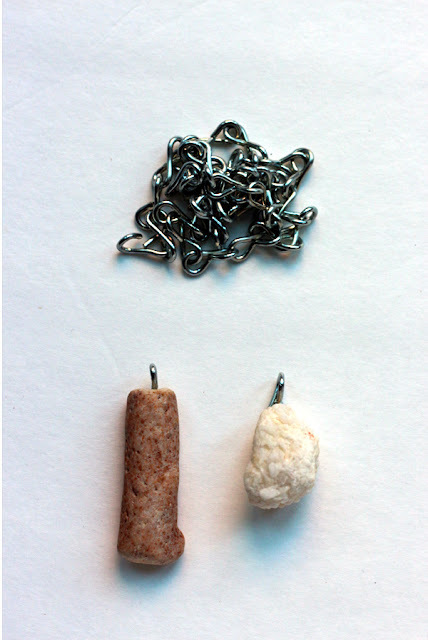 A bail is the loop at the top of a pendant that can connect it to a jump ring or a chain. The other thing you learn about jewelry making is that pieces parts like bails don't always come cheap. Fortunately you can make dozens of bails with a dollar's worth of jack chain. 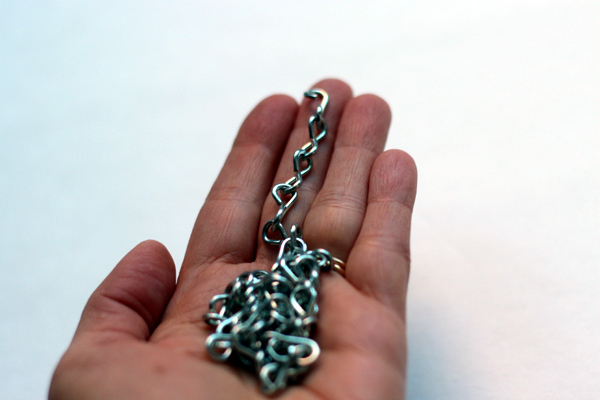 You can find silver and brass jack chain at most hardware stores. Below is what jack chain looks like. 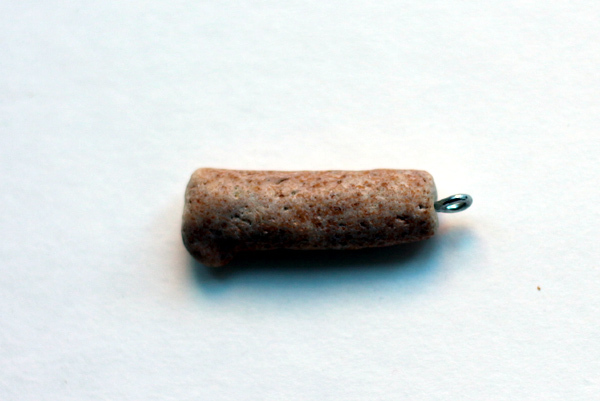 You can make two kinds of bails - the type that glue to the back of a pendant and the type that go down into a hole at the top of a pendant, which I think is called a pin bail. Below you can see the DIY pin bail on the left and the glueable bail on the right. The glueable bail is the easiest. 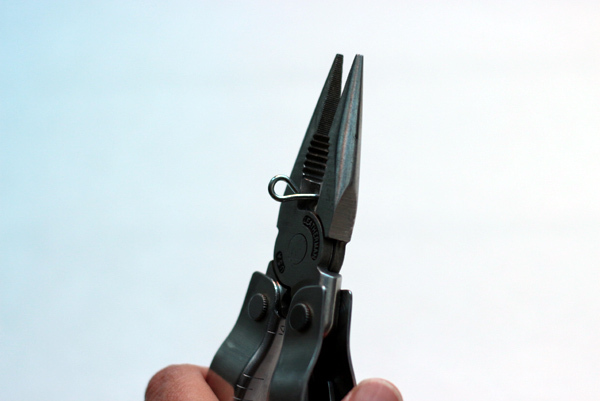 Just separate the individual loops from the jack chain by slightly opening them with pliers. 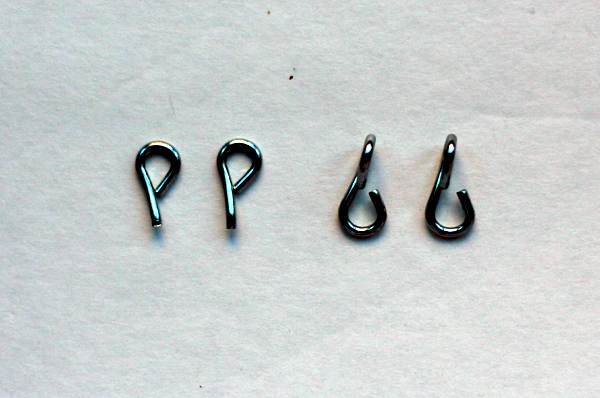 For the pin bail, you will additionally need to open one of the loops all the way, as seen below. 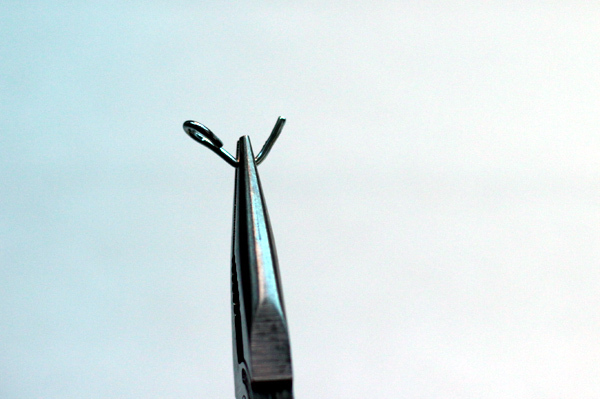 Then use the pliers to cut part of the loop off, just leaving a straight "pin." 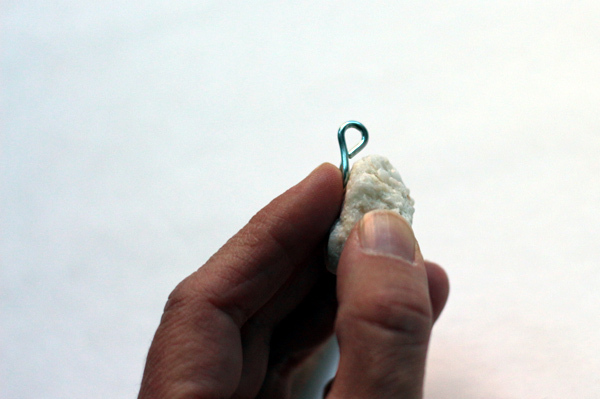 The glue-on bail goes on the back of your stone or pendant like so. The pin bail goes down in the top of a pre-drilled hole like so.